*** Uys is a capable raconteur with an eventful story that shines a light on social and political history across two continents. The Echo of a Noise offers a privileged but engaged perspective on apartheid’s near half-century, from a performer who learned early to laugh at his own fears, and is still doing so. is not just funny and poltical, it is touching too. Uys has never been better! Uys is a master story teller whose characters are always entertaining and at the same time often poignant. This wonderful trip down memory lane is a treasure and definitely a show not to be missed. Engaging, dramatic, poignant, bitingly satirical and hysterically funny — don’t miss it! 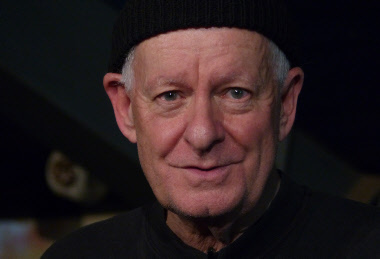 Poignant, funny and nostalgic, Pieter Dirk Uys enthralls with The Echo of a Noise. Pieter-Dirk Uys has a knack for knocking life into perspective. Long may he remain our moral signpost. Uys is a compelling and dynamic storyteller. ***** The audience is captured by Uys’s politically-incorrect humour, inexhaustible energy and optimism ... he is the only person who can make you sadly smile at life and our present confusing politics. Bravo. Perched on a barstool under a spotlight on an otherwise empty stage, 71-year-old Uys can still hold an audience absolutely mesmerised just by talking. ... The Echo of a Noise is the most honest and wonderful performance I’ve ever seen him give. A unique opportunity to enjoy an intimate performance while learning more about the legendary actor, and of course a night of laughter. Don’t miss THE ECHO OF A NOISE. A must-see for anyone interested in South Africa, satire, and a good night out. Uys is a smash hit! Rich, funny, tender and brilliantly executed. In The Echo of a Noise, Uys presents a collection of vignettes drawn from his childhood and early career. The result is a touching and intensely personal meditation wrapped in a bright, light-hearted package, flavoured with the kind of vivid anecdotes and seemingly effortless quips audiences have come to love about him over the years. The production cuts so much deeper than a mere evening’s worth of entertainment. What a profound 90-minute journey it turns out to be! ***** The Echo of a Noise is an austerely staged tour de force from a man of the theatre capable of seducing his audience with nothing more than a fluent monologue for well over an hour. Uys take his listeners on a journey to a place somewhere in the hinterland between laughter and tears, in this soul-baring show that has universal resonance. The Echo of a Noise is a soul-baring honest memoir brought to stage by the one who can tell the story best… the one who lived the tale. Time feels like it is standing still, as you hang onto every word of this skilled story teller. Truly inspirational! Hy is ’n meesterlike storieverteller, sonder arrogansie of selfbeheptheid. Hy bly ’n meesterstorieverteller, wat net so vinnig met homself spot soos met al die ander wat onder sy tong deurloop.